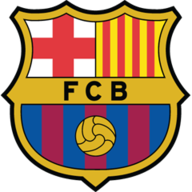 Coach Ernesto Valverde made sweeping changes to his line-up ahead of Tuesday's Champions League quarter-final decider against Manchester United. Midfielder Riqui Puig was one of the debutants, and the 19-year-old produced the best moment of an uneventful first half, picking out Ousmane Dembele with a wonderful pass, but the forward dragged his shot wide. Brazilian forward Malcom struck the post early in the second half, and team mate Carles Alena missed the target from the rebound in Barca's best spell after the interval, while substitutes Philippe Coutinho, Jordi Alba, and Arthur Melo could not improve the leaders' attacking threat when they came on. 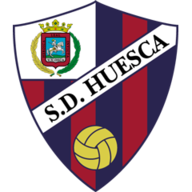 Huesca desperately needed a win to keep up their slim hopes of avoiding relegation, but they struggled to make much of an impact and stay rooted to the bottom of the standings with 25 points from 32 games. Meanwhile, Atletico Madrid reduced the gap behind Barcelona to nine points by seeing off Celta Vigo 2-0 on Saturday with goals from strikers Antoine Griezmann and Alvaro Morata either side of half-time. Sevilla lifted their hopes of returning to the Champions League after they beat Real Betis 3-2 in a pulsating derby on Saturday to climb into fourth place. Elsewhere, Alaves' winless streak reached four matches after losing 2-1 at Espanyol. They now sit in seventh place, having been fighting for a top-four finish and a Champions League spot until their recent slide.